We close out 2015 with a big thanks to all of the amazing artists that work with our brushes, our artist representatives and demo artists, and to Splashes of Hope whom we are honored to support and who in turn honored Fred Mink as Man of the Year this past April. 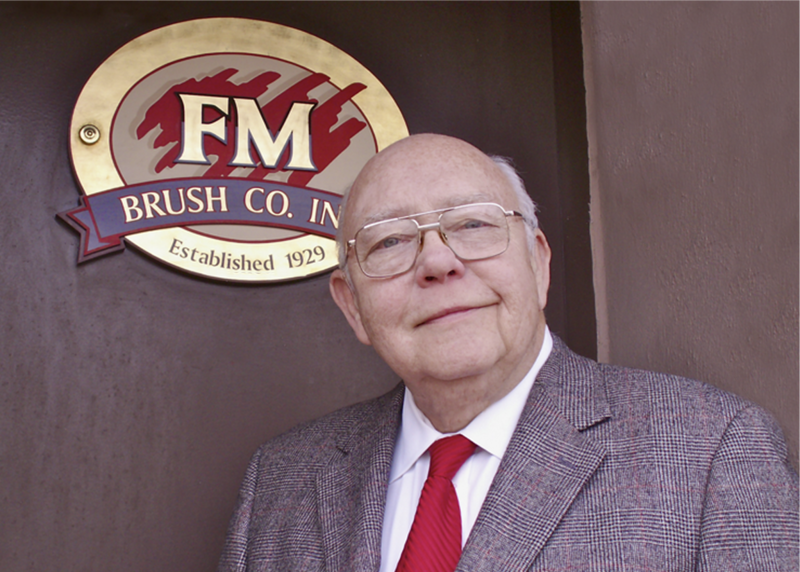 We also close out the year thankful for the work and dedication that Fred Mink gave to FM Brush, Inc., and the inspiration he continues to give through the ideas and traditions he brought to the company. Lastly, we close 2015 thanking you, the artists who support us through staying in touch online, at trade shows and through email. Keep us posted on your artwork and share as much as you can with us in 2016; we look forward to your painting and meeting many more of you in the future. 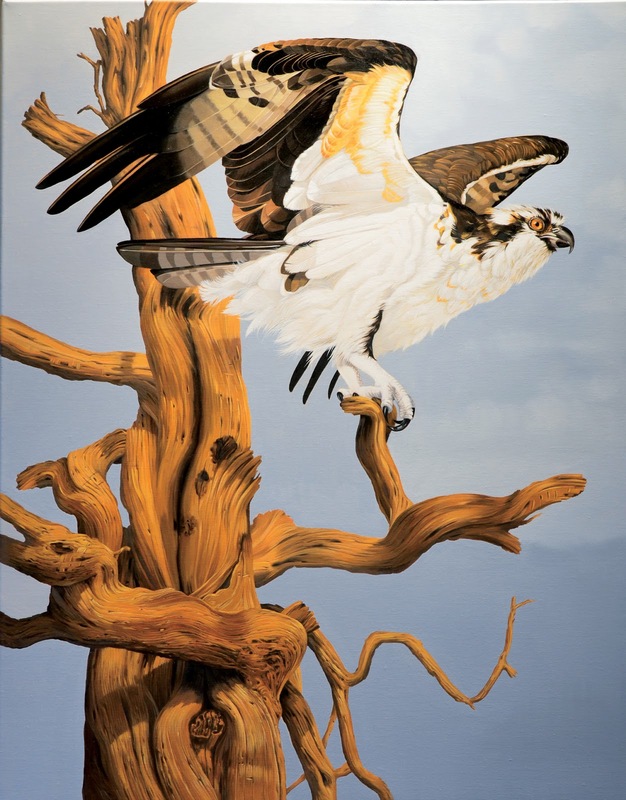 Washington artist, Cathy Weiss has a strong, professional background in illustration and graphic design, having studied and graduated with honors from the Art Center College of Design in California. But, her passion and heart have driven her north, to rural Washington and around the world to capture the design of nature. Cathy's work reflects the wildlife she has experienced in person; the animals she portrays are those whose story she knows personally. 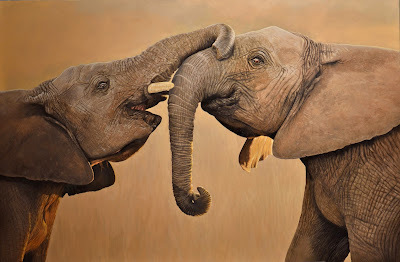 Her thoughtful subjects and soft brushwork have brought her paintings to the forefront of modern wildlife art. Cathy is just as careful about the materials she chooses for her work as the subject matter she seeks. She has long been an advocate for environmental conservation, and that is how we met, through a discussion on better materials for our earth. In her search for brushes, Cathy wanted tools that were not harmful to animals. For Cathy's technique, she uses mostly rounds and flat brushes; larger, stiffer brushes for the block-ins and softer sables for the detail work. Cathy has been looking for alternatives to natural hair and has found some compatible brushes in the Interlock Bronze line. She thins her oils with a lot of medium and thinner for washes in the background, so she needs brushes that can stand up to solvents, hold their spring, and keep a sharp point, too. Interlock Bronze is a great fit. The Faux hair brush lines will give Cathy options, too, for natural hair feel without the side effects for her detail work. For more brush information, check out the Dynasty Brush website.. There are numerous mediums for oils in the paint material industry. So many in fact, that this list below holds only some of the most common. Most lines of oil paint, although relatively simple in formula (compared to acrylic), use different oils for their recipes in order to create their standard paint lines. So, each company has a range of mediums for their oil paints specifically. I have listed most of the standard mediums as well as some brand specific mediums that tend to be favorites. Linseed Oil -- Made by pressing flax seeds and lightly refined. Can be used in moderation to thin oil colors or as an ingredient in traditional painting mediums. Cold Pressed Linseed Oil -- This is pressed from flaxseeds without the use of heat or solvents. It is a higher acidity than alkali-refined linseed oil. Used as a medium with oil colors for thinning, lower gloss and transparency, and pronouncing brush marks. Stand Oil -- A thick, honey-like linseed oil with excellent leveling properties. Increases flow, transparency, and gloss. Slower drying and less yellowing than other linseed oils, it creates a smooth, durable, and flexible film. Refined Safflower Oil -- Safflower oil is expeller-pressed from safflower oilseeds. As it yellows less than linseed oil it is good for making pale oil colors. Safflower oil dries faster than poppy seed oil. Poppy seed, sunflower and safflower oil can be safely used to make oil colors, such as light or pale colors, but they are not recommended for use as a painting media and should not be expected to replace linseed oil because they have a weaker binder. Poppy Oil -- naturally a slow drying oil; often used with lighter colors as it is a pale oil. Clove Oil --Clove oil is made from the leaf of the plant by steam distillation. Add a drop to oil paint to slow down drying. Add to egg tempera, emulsions and glues to prevent mold and bacteria. Spike Oil -- Lavender Spike Oil is a natural, low-toxic substitute for turpentine. Walnut Oil -- Made from fresh dried walnuts, cold-pressed and then lightly refined. It is a clear, pale yellow oil that is odorless. As a thin oil, it is used to make oil paint more fluid. As it yellows less than linseed oil (but more than safflower oil) it is good for making pale oil colors. Walnut oil dries more slowly than linseed oil, drying in four or five days. It is said to have a less tendency to crack than linseed oil, but this has not be verified by research. Damar -- Damar is the most popular natural resin for making spirit varnish. Add turpentine and you have golden clear concentrated dammar varnish. This is the most economical way to obtain dammar varnish. 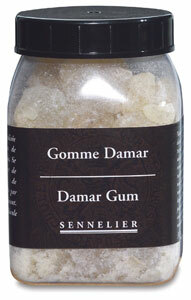 Dammar can be used as a varnish, a medium for gloss, encaustic medium or egg tempera medium. Balsam Resin Medium -- Created from balsam resin, linseed and spike oil. Adding to paint will increase gloss, glow, adhesion and fusion to previous layers. Weber Turpenoid Gel -- fast drying medium increasing transparency and flexibility, drying to a matte finish. Sennelier Van Eyck Gel -- This is a mastic-based medium that allows the artist to superimpose oil colors rapidly, even when paint is fresh, without diluting the underlying coats. It fixes brush strokes, giving them a varnished, enamel finish. It also increases gloss, transparency and depth of color. Alkyd Mediums -- Made from a slow-drying pure alkyd resin with the consistency of a thick Stand Oil. Dries to a glossy, flexible, and enamel-like film. Useful in making other mediums or added directly into oil paints to modify transparency and flow. 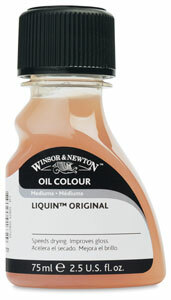 Winsor Newton Liquin --This is a general purpose semi gloss medium which speeds drying, improves flow and reduces brush stroke retention, and resists yellowing. Gamblin Galkyd -- Galkyd thins oil colors and increases transparency and gloss. When used in greater proportions with oil color, Galkyd will level brush-strokes, creating an enamel-like surface. Thin layers will be touch-dry in approximately 24 hours. Wax Mediums -- Wax mediums are made with beeswax, damar resin and refined linseed oil, meant to thicken paint or finish a painting surface, able to be buffed to a satin sheen. Natural Pigments, which has loads of articles and is an online store for raw materials. Gamblin Artist Colors has quite a few videos of their mediums and great info on color theory, as well as wonderfully supportive technical staff. Williamsburg Oils makes great quality colors and has a strong technical website and knowledgeable staff. For more information, check out the Dynasty Brush website. With so many lines of painting brushes to choose from, how does an artist know which one to start with for a particular medium? A while back, I created this post on best choice brushes for select paints of all types. Here, however, is a list of our best brushes for heavy body paints, either oil or acrylic. Most people prefer natural bristle brushes for oil as they stand up well to pushing paint on a linen canvas and hold up to solvents. But, our synthetic brushes are an alternative worth trying because they have been designed to hold up to rough canvas or solvents or heavy mediums. Beau Blanc is our top of the line natural bristle brush, with interlocked boar bristle's designed to hold it's shape and a distinct line. Interboro is also a natural bristle and has the benefit of coming in some alternative wave shapes for textural work like foliage or fur. Interlock Bronze has long been one of my personal favorites, for most of my acrylic work because of the range in shapes and sizes and the perfection of the synthetic hair. Golden Stag is another synthetic line with a stiffer fiber and smooth hair, meant to take a load of paint. It can push heavy body gels and work in brush strokes like no other.